Ghana has officially declared its intention to join the Great Green Wall (GGW), a pan-African initiative to plant trees and vegetation across a belt of Northern Africa that has been subject to intensive land degradation and desertification. The effort will be focused on the degraded lands of the north and west of the country, which face a significant threat of desertification. Until now, the GGW initiative has been focused on Sahel and Sahara countries to the north. The Director of Environment at the Ministry of Environment, Science, Technology and Innovation (MESTI) ,Mr Fredua Agyeman told the Daily Graphic in an interview at the climate change conference in Paris, France, that although Ghana was not originally part of the initiative, it had become necessary to take steps to restore lost vegetation in the selected districts, hence its show of interest in the project.
" We want to join because half of Ghana is within the Sahalian zone. It will serve as a buffer to prevent the Sahalian desert from coming south,” he stated. The country, he said was ready to contribute resources to the effort, being conducted with the support of the UNFCCC. He said it was too early to say how much the project would cost since it was still at the preliminary stage. The Coordinator for the project, Dr Elvis Paul Nfor Tangem, in an interview in Paris, told the Daily Graphic that he had extensive discussions with Ghana's Minister, Mohammed Ayariga, to further the country’s engagement with the Green Wall, and will be coming to Accra for discussions shortly after the climate change conference. While in Ghana, he said that he plans to visit the parts of the country most threatened by the expanding desert. The GGW is a pan-African initiative by a former Nigerian President, Chief Olusegun Obasanjo in 2005 to “green” the continent from west to east in order to battle desertification. 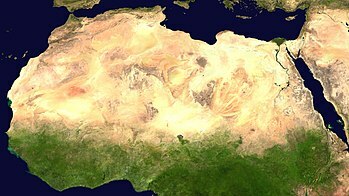 The vision for the GGW evolved into an integrated ecosystem management approach in January 2007, when the African Union approved the “Decision on the Implementation of the Green Wall for the Sahara Initiative”. In June 2010, Burkina Faso, Chad, Djibouti, Eritrea, Ethiopia, Mali, Mauritania, Niger, Nigeria, Senegal and Sudan signed a convention in Ndjamena, Chad, to create the Great Green Wall (GGW) Agency and nominate a secretary to further develop the initiative.rAccoding to Mr Tangem, the project’s focus on the degradation of soils in the Sahel-Sahara region is critical to tackling poverty in the region. That population, among the poorest in Africa, is heavily reliant on healthy ecosystems for rainfed agriculture, fisheries, livestock, and fuelwood.to sustain their livelihoods. These constitute the primary sectors of employment in the region and generate at least 40 percent of the gross domestic product (GDP) in most of the countries. Unfortunately, climate variability along with frequent droughts and poorly managed land and water resources have caused rivers and lakes to dry up and contribute to increased soil erosion and degradation. The Northern Region is the largest area of Ghana. The climate of the region is relatively dry, with a single rainy season that begins in May and ends in October. The dry season starts in November and ends in March/April with maximum temperatures occurring towards the end of the dry season (March-April) and minimum temperatures in December and January. The harmattan winds, which occur during the months of December to early February, have considerable effect on the temperatures in the region. The terrain is primarily vast areas of grassland, interspersed with the guinea savannah woodland, characterised by drought-resistant trees such as the acacia, baobab, shea nut, dawadawa, mango, and neem. The rather harsh climatic condition makes the cerebrospinal meningitis thrive, almost to endemic proportions, and adversely affects economic activity in the region.